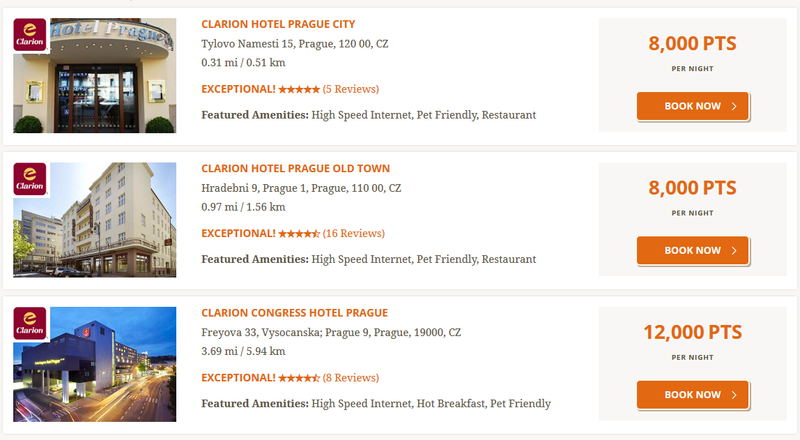 Promocja w hotelowym programie lojalnościowym Choice Privileges zrzeszającym takie sieci jak: Clarion, Quality Inn, Comfort Inn, Ascend czy Clarion Collection. Po dwóch osobnych i dowolnie długich pobytach (mogą trwać i jedną noc) otrzymujemy darmową noc w wybranym przez nas hotelu. Dokładniej, to dostaniemy 12.000 punktów, które wystarczą na noc w jednym z 3.800 ich hoteli. Liczą się pobyty do 11 listopada 2015 r. (ostatni dzień zameldowania się). Nie ma ograniczeń co do liczby darmowych nocy (liczby punktów), jakie możemy za tę promocję otrzymać. Z promocji niestety wykluczone są następujące kraje: Dania, Finlandia, Szwecja, Norwegia, Islandia, Litwa, Łotwa, Estonia. 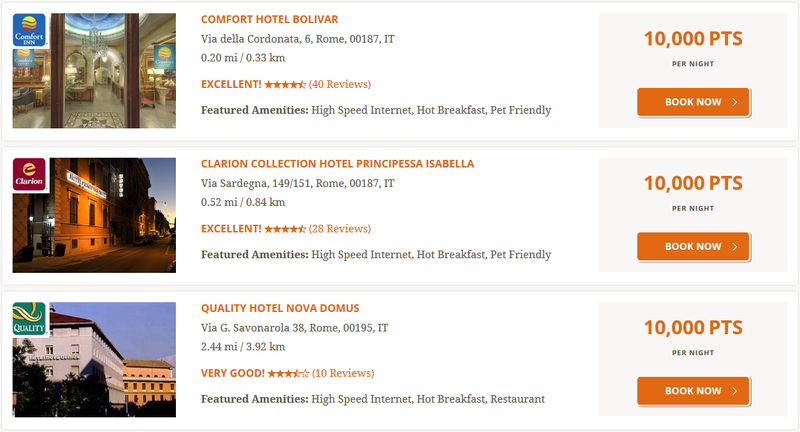 Promoter is Choice Hotels International, Inc. 1 Choice Hotels Circle, Rockville, Maryland, USA. Promotion is open to members of Choice Privileges Rewards Programme only. If you would like to participate, enroll as a member at your next stay at a participating Choice Hotels property, or through www.choiceprivileges.eu. Reservations must be made at qualifying rates and Choice Privileges member number must be provided upon check-in at a Choice Privileges location (excluding Denmark, Estonia, Finland, Iceland, Latvia, Lithuania, Norway and Sweden) to be eligible. After two separate qualifying trips at Choice Privileges locations, each with arrival date between 3rd September 2015 and 11th November 2015, enough Choice Privileges points will be added to your member account to reach the 12,000 point level, which can be redeemed for one (1) free night at over 3,800 participating hotels (excluding Denmark, Estonia, Finland, Iceland, Latvia, Lithuania, Norway and Sweden), or can be used for any other redemption option in accordance with the Choice Privileges Rewards Programme. A free night trip comprises one (1) free night in a standard room at a participating hotel and will be subject to availability at that hotel. Standard terms and conditions relating to the participating hotel will apply, including cancellation policy. A free night at non-participating Choice Privileges locations under the general Choice Privileges Rewards Programme in Europe will require more than 12,000 points. For Comfort, Comfort Suites, Quality, Sleep Inn, Clarion, Cambria hotels & suites or Ascend Hotel Collection hotels, a trip is defined as a stay that is any number of consecutive nights at one hotel regardless of check-ins or check-outs. For Econo Lodge, Rodeway Inn, Suburban Extended Stay Hotel, or MainStay Suites hotels, a trip is defined as a stay that is two (2) or more consecutive nights at one hotel regardless of check-ins or check-outs. To be eligible to earn the bonus, members must set their earning preference to Choice Privileges points in their online account. Any change made to earning preference will remain in effect after the promotion has ended. Allow 20 days from the date of check-out for points to be added to your member account, prior to which it will not be possible to redeem your points. You must maintain an address in Europe to be eligible for this promotion. Choice Hotels reserves the right to amend these terms or stop this promotion at any time. Number of participating hotels is subject to change. For full Choice Privileges programme details, participating hotels, qualifying rates, eligible countries and point redemption rules, visit choiceprivileges.eu.